I seem to write this post on a yearly basis which is a good thing. This year grand finals have come and gone and it was dry. However today in Sydney we are wet and expecting around 50mm. I know some have had some decent rain but this rain seems to be reaching central west NSW as well. The more the merrier. So with this rain warm season turf will start jumping out of the ground and anyone who has renovated will get some good recovery. 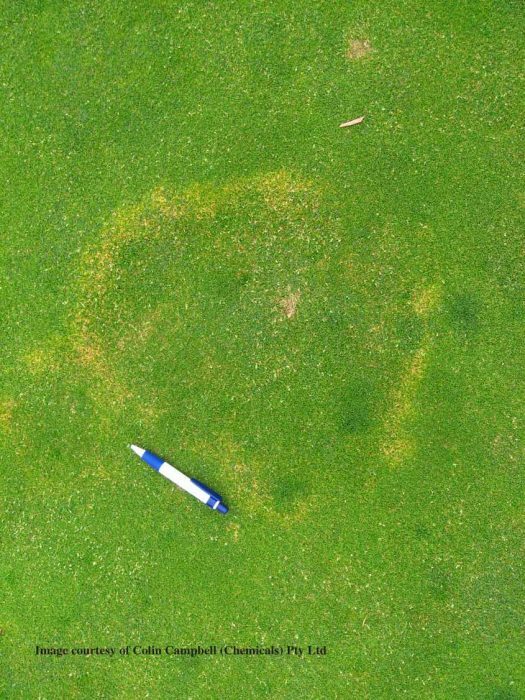 On the disease front expect some brown patch, helmo and dollar spot to pop up along with pythium pressure starting to rise especially with this much rain. 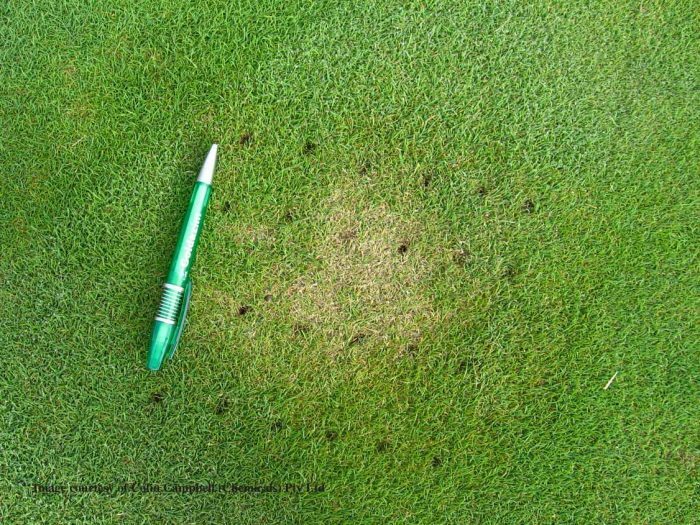 For brown patch expect to see cool season strains pop up such as waited and cerealis. These tend to have a yellow ring shape rather than the solani strain which is brown and grey and effects the roots. These strains also tend to effect the crown and leaves more so than the roots. You may need 2 applications 2 weeks apart to get it under control. Apply a systemic such as 250GT and follow up with a contact such as Dacogreen.